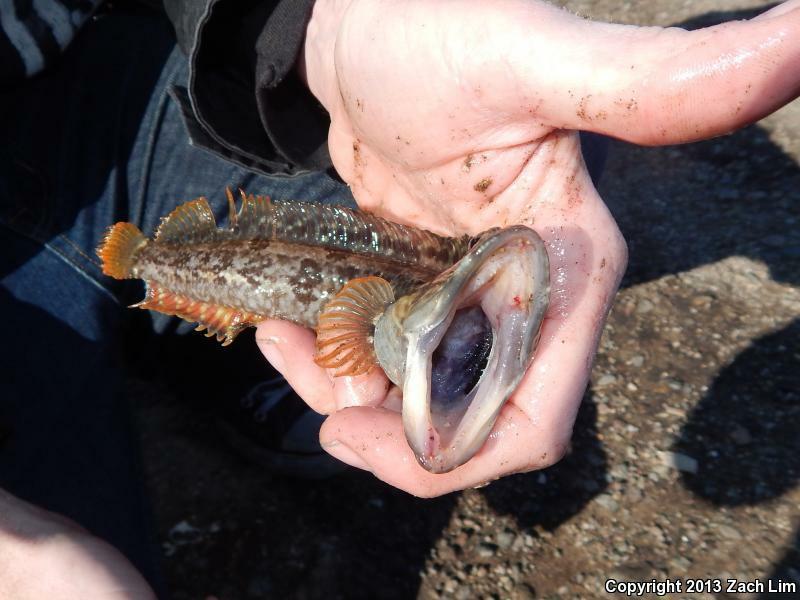 Me with a Monkey-faced Prickleback Eel. 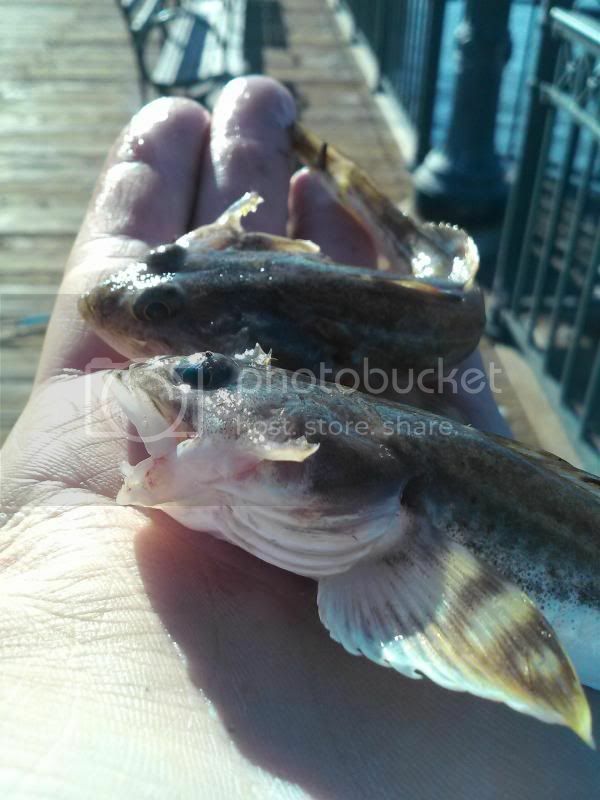 All the fish were released after capture. The eel went into the frying pan. Fabulous post, Zach! 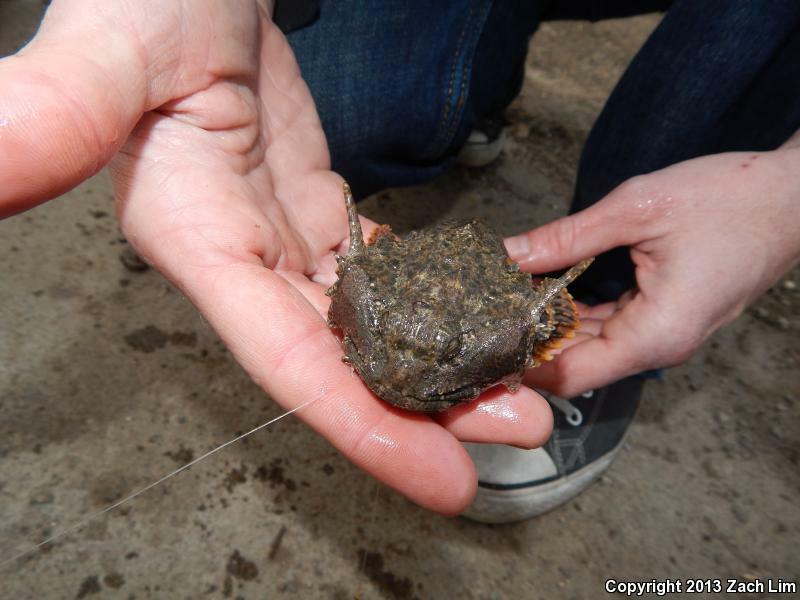 As far as fun-factor, and variety of species, I haven't found anything that beats our intertidal zone. It truly is a "box of chocolates". 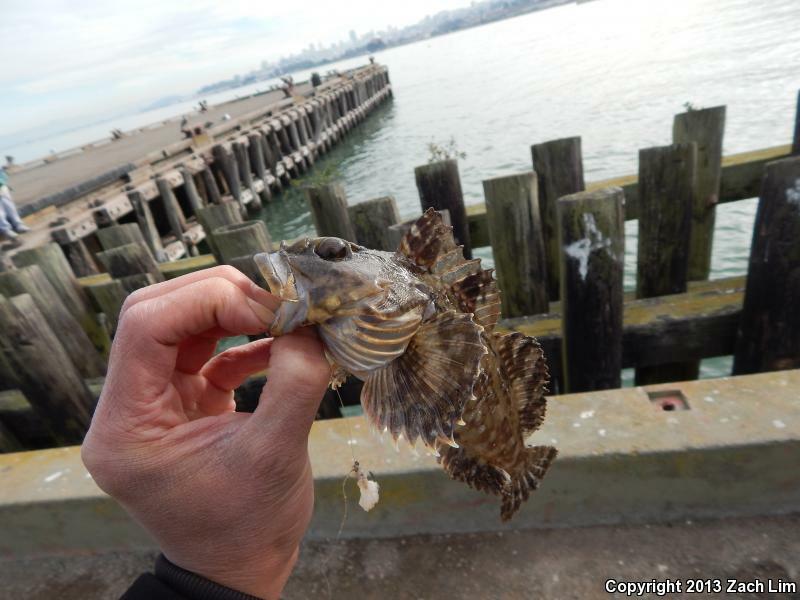 Sculpin Beer and ichthyological oddities… sounds like the perfect day! Hey Zach, that looks like good fun, I spent much of my misspent youth on piers doing similar, and like you, I was often more excited (to the consternation of friends) about something odd or different than large and edible. Like you, I enjoy eating the monkeyfaces, they are quite good and good fun to catch, as El Garia says, poke poling is effective, I am surprised you were able to land one on light conventional gear, as they live in holes/cracks and usually "knot up" under stress, hard to pull out. 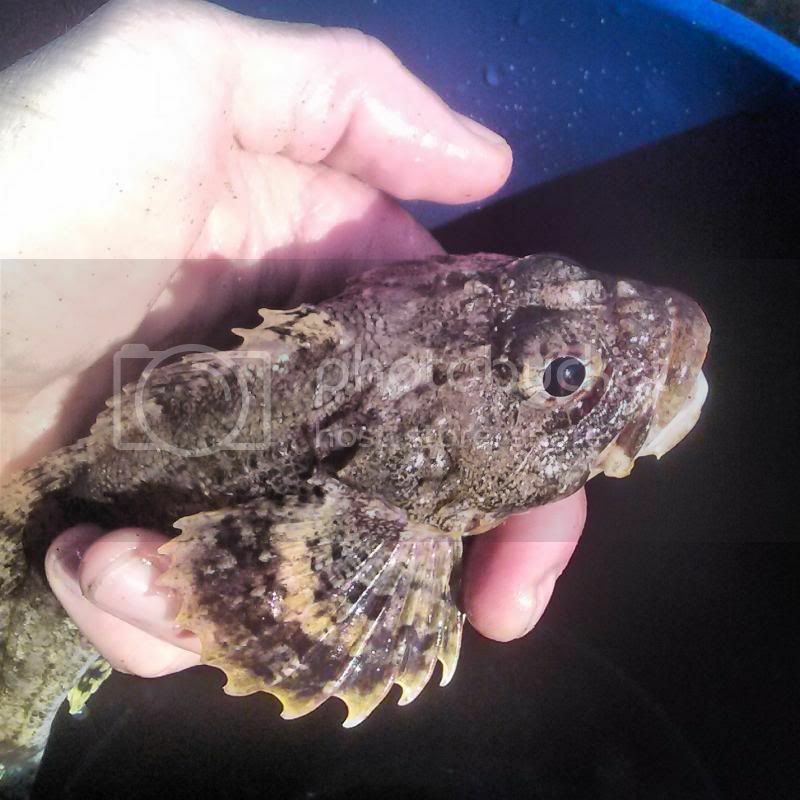 I concur with El Garia, looks sculpin to me but I don't have access to my fish key, and some of these obscure sculpins are difficult for even experts to ID, maybe the fringe along the lateral line will help. PM me if you don't solve it, I will try when I get to my books (Miller&Lee). How confident are you on the Irish Lord ID.? Pretty small one, certainly possible. Maybe someone in the NW will confirm, they are far more common up there. The Monterey Bay Aquarium staff has been responsive to my inquiries, maybe they can help us out? 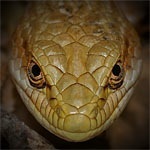 Your photo is quite good (a refreshing change), so there is a chance they will nail it. PM me if needed and I will get you a name, otherwise go to there website and see what you can find. You also have a great resource in your town at the Cal Academy. When you take photos of mystery fish, having the fin rays extended really helps, as does a clear photo of a live, adult fish, lateral view. 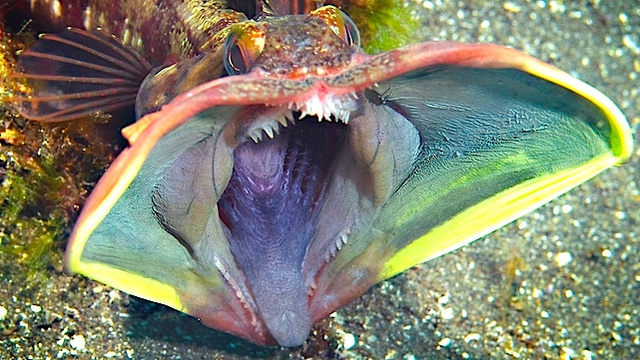 Fringeheads are real characters, they inhabit a great many empty bottles on the bottom, and good thing they don't get larger or we would surely be eaten. They are great fun in aquariums if you are ever inclined. Fun post, you have a real knack for taking common events and animals and making me see them in a new light, and sometimes you are literally in places I adventured decades ago. Thanks for posting this, it made my day. 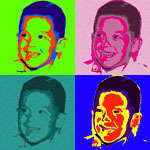 El Garia wrote: Fabulous post, Zach! As far as fun-factor, and variety of species, I haven't found anything that beats our intertidal zone. It truly is a "box of chocolates". 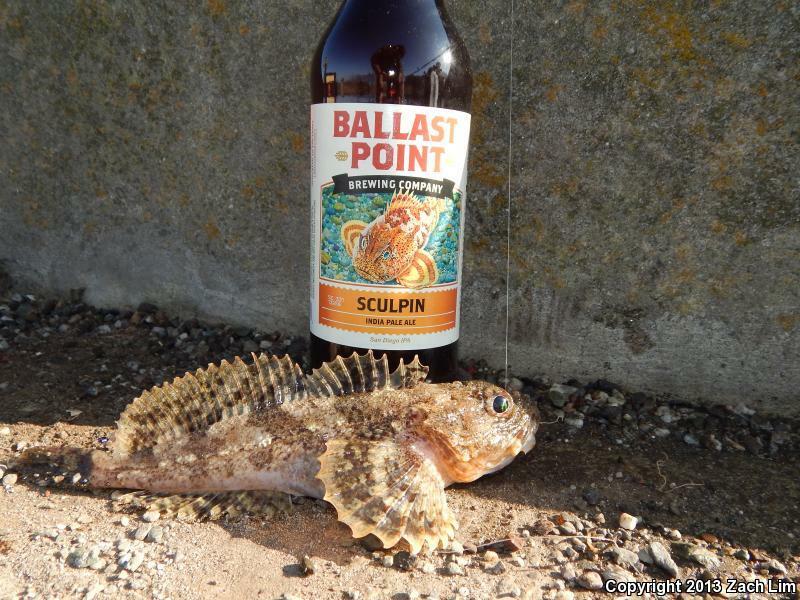 Sculpin Beer and ichthyological oddities… sounds like the perfect day! Our intertidal zone is amazing. 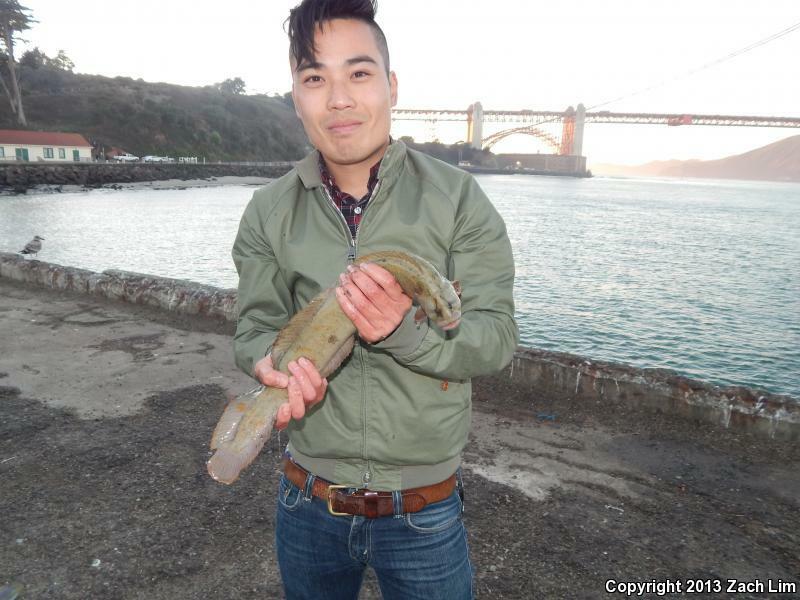 I only recently rekindled by love for fishing (thanks to Jared) and I am so happy to know that we have such species diversity in the City. You should come out fishing with us one day! 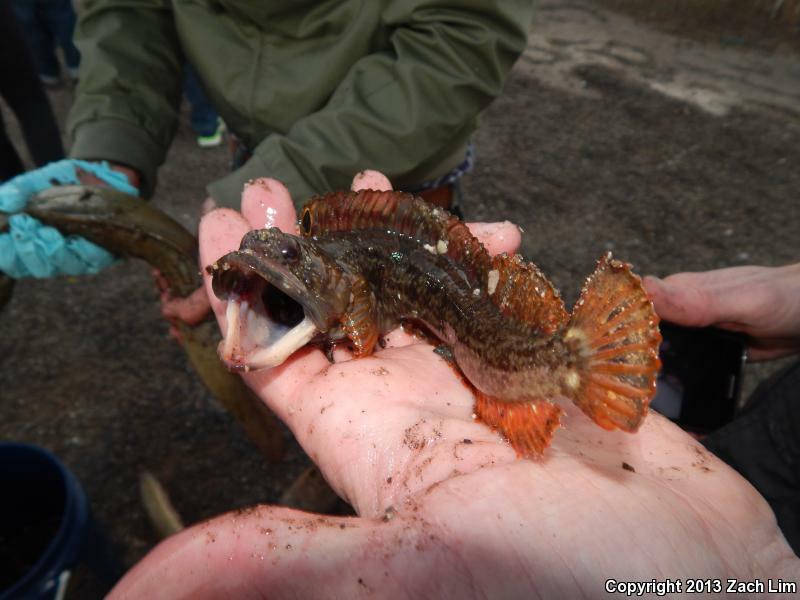 And yup, the "goby" is a sculpin! VICtort wrote: Hey Zach, that looks like good fun, I spent much of my misspent youth on piers doing similar, and like you, I was often more excited (to the consternation of friends) about something odd or different than large and edible. Like you, I enjoy eating the monkeyfaces, they are quite good and good fun to catch, as El Garia says, poke poling is effective, I am surprised you were able to land one on light conventional gear, as they live in holes/cracks and usually "knot up" under stress, hard to pull out. I am glad you enjoyed my post! I am very new into fishing and appreciate the encouragement. 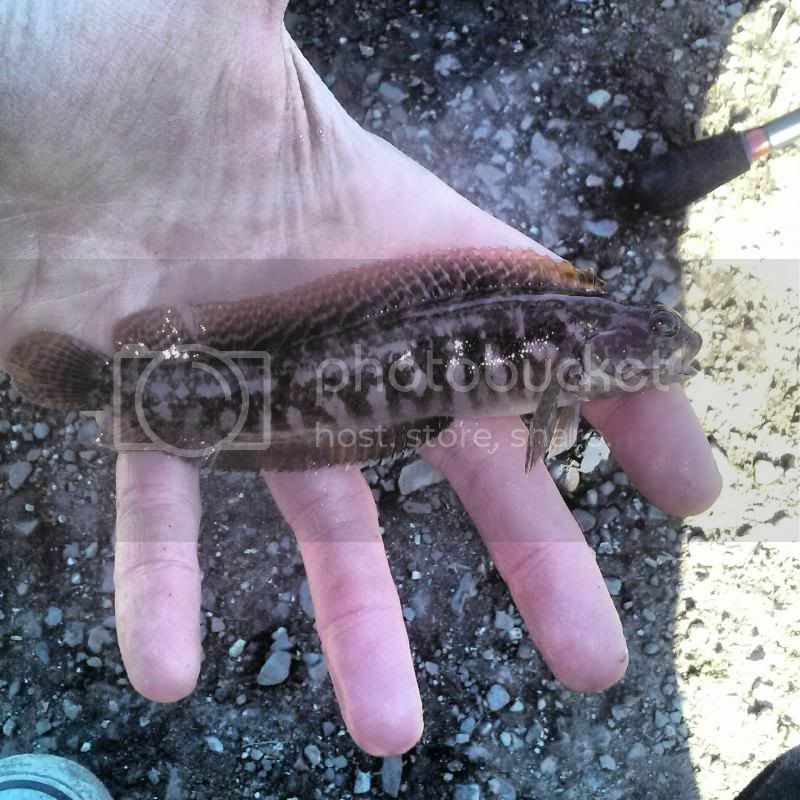 It was odd that the Prickleback was pulled up on a line and hook. Maybe it was out of its hole at the time? And I agree, poke poling is quite effective for landing them. 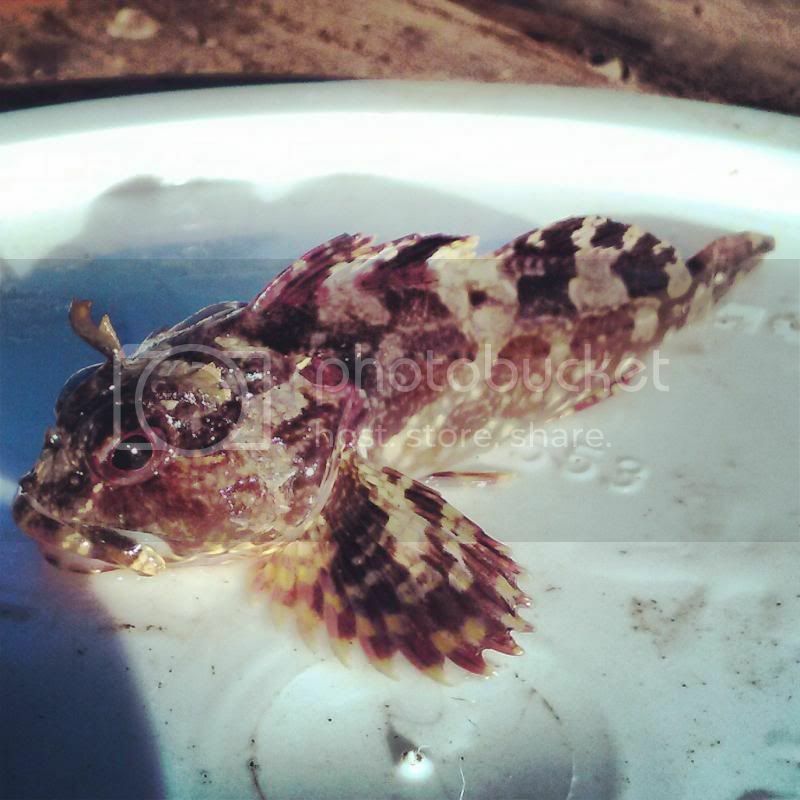 Per Jared, the mystery fish was ID's as a Scaly Head Sculpin (a male in breeding colors)- what a gorgeous fish. In regards to the Irish Lord ID- I had no idea what it was. Jared makes all the ID's when I am out fishing with him. 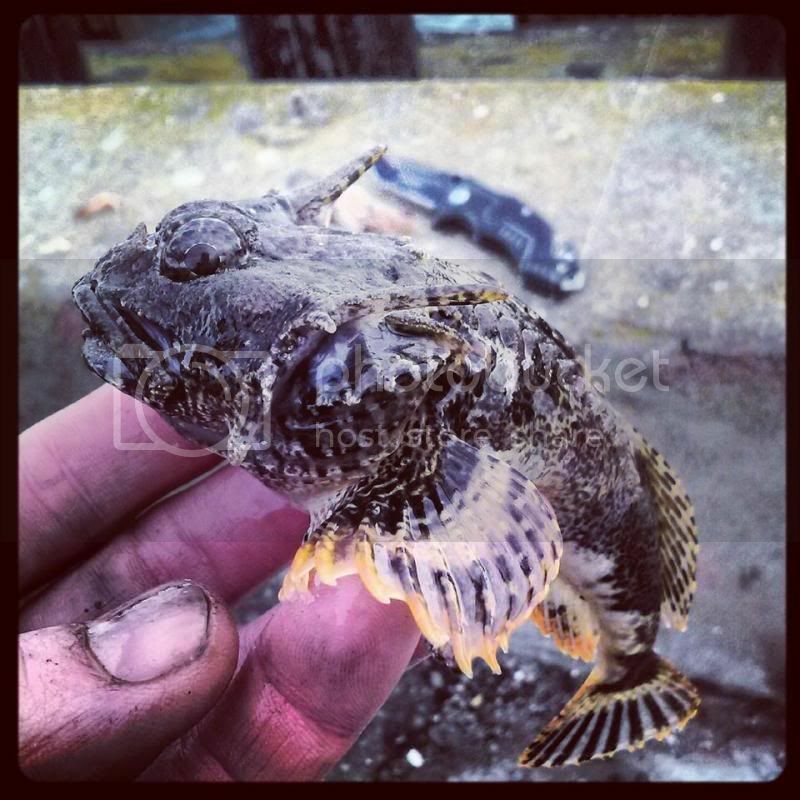 Every fish that I see that is bony and spiky is a sculpin to me haha! I am curious to find out what it is. Thank you for the insight on how to take proper ID photographs. I will surely keep that in mind. 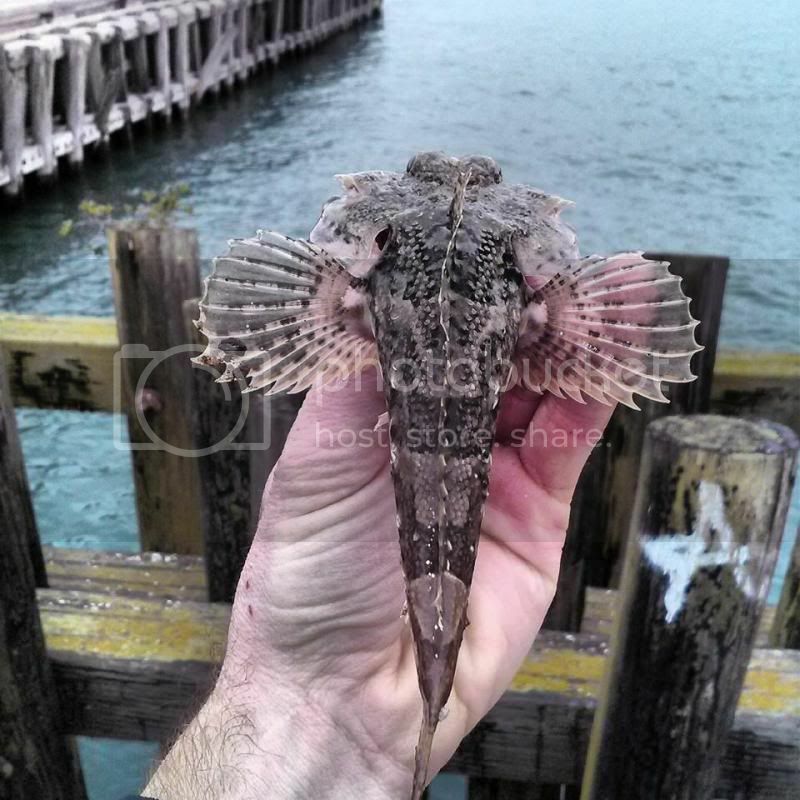 Fringeheads are amazing. 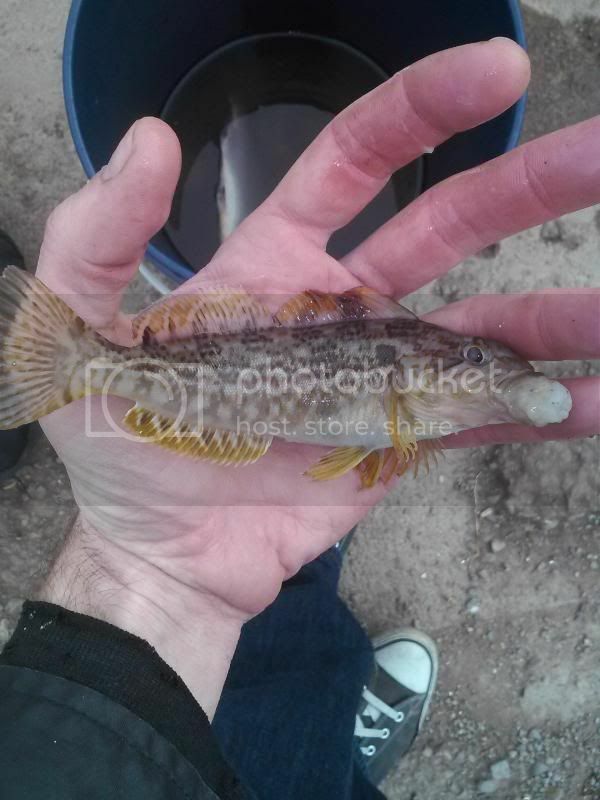 That fish, as well as that now ID'd sculpin, made me consider a small, cold saltwater tank. 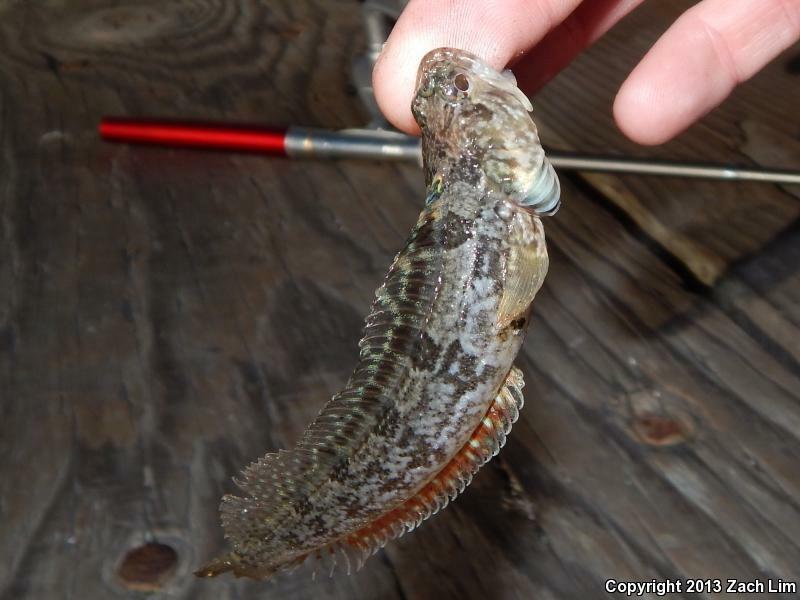 We are actually targeting the Sarcastic Fringehead, which apparently are amazing to see live! 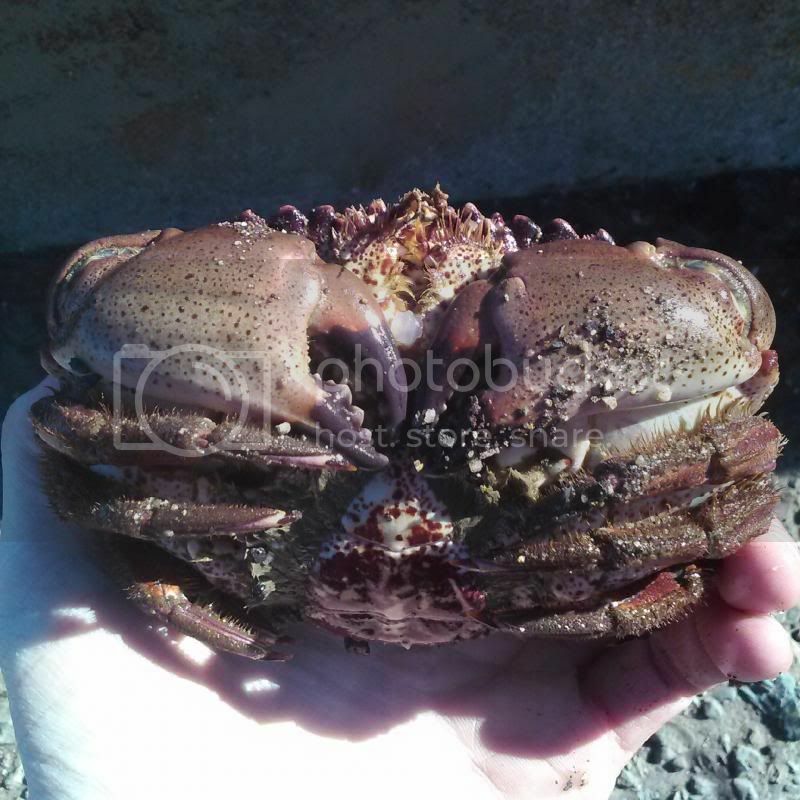 You forgot to show the rock crabs that also get yanked up while poking. Nice assortment of unusual fish Zach! I've yet to try the Parabola, but will do next time I run to the store (which is all too frequent). I have gone poke poling in awhile! I do pull red rock crabs on the line, though! 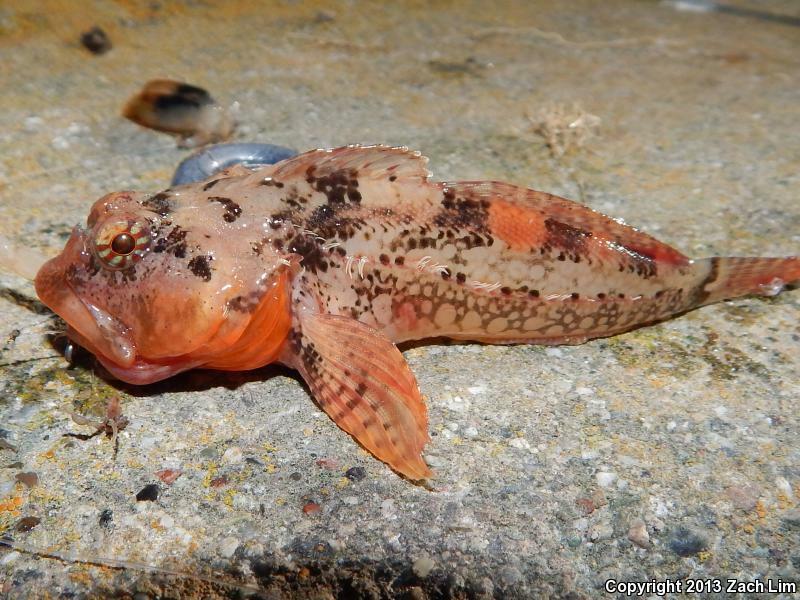 Delicious as all hell, but quite a downer when you think you caught a ray or sand-dab that's suctioned to the seafloor! 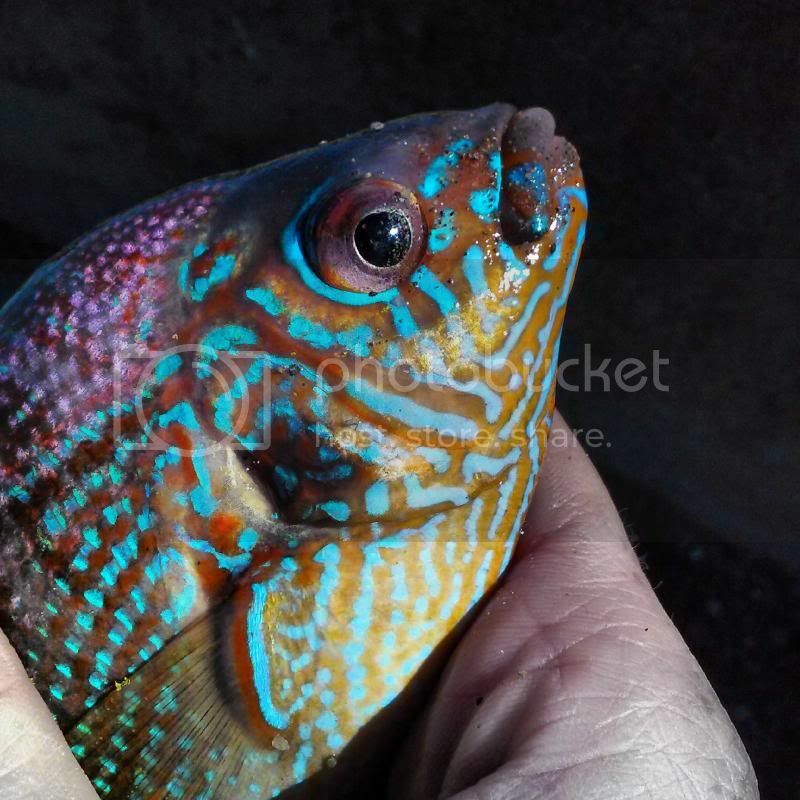 Sarcastics are ridiculous looking and acting fish. If I caught one, I would probably have to run out and get a salt water set up right then and there! I have always been terrified of open water- especially the ocean haha! A dive class may help to soothe this irrational fear. I've also never fished off a boat before! 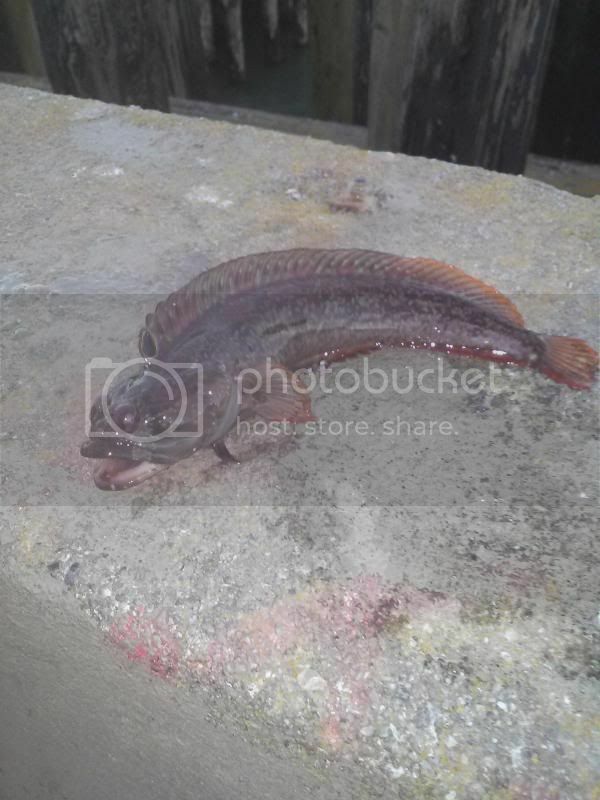 Only unsuccessful shore fishing and pier fishing. I really am a novice here. 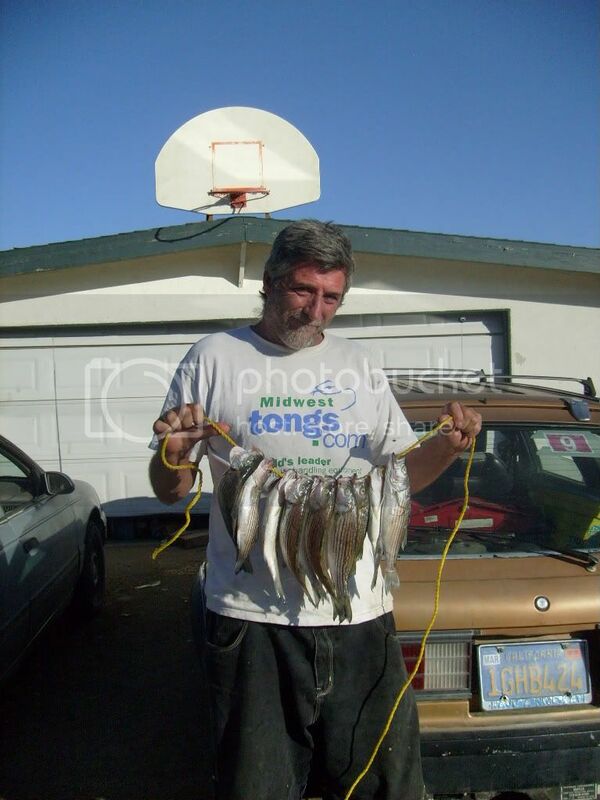 Maybe we should make a trip out somewhere in Santa Cruz or Monterey and all go fishing! 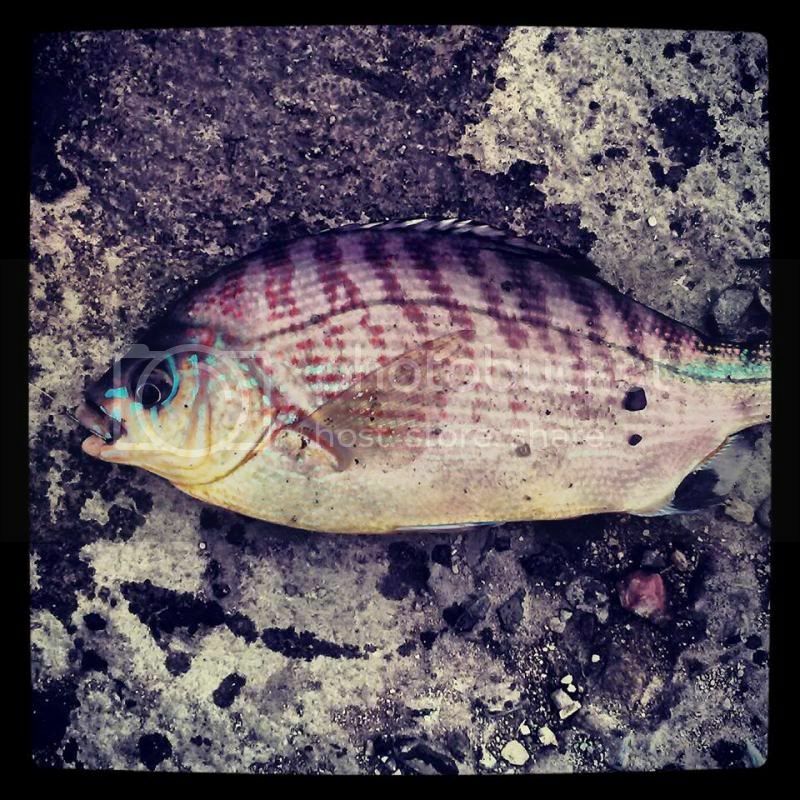 SurfinHerp wrote: Nice assortment of unusual fish Zach! Ballast Point makes some pretty good beer! We'd only get in trouble if we tried to keep up with you, Vic. That really sounds like fun! I'm having two surgeries this winter, and there's nothing I'd like better than to get a gang together for some poke-poling. It's been many years since I've been able to do the intertidal thing. Hopefully, my back will be healed up enough, come mid/late spring. 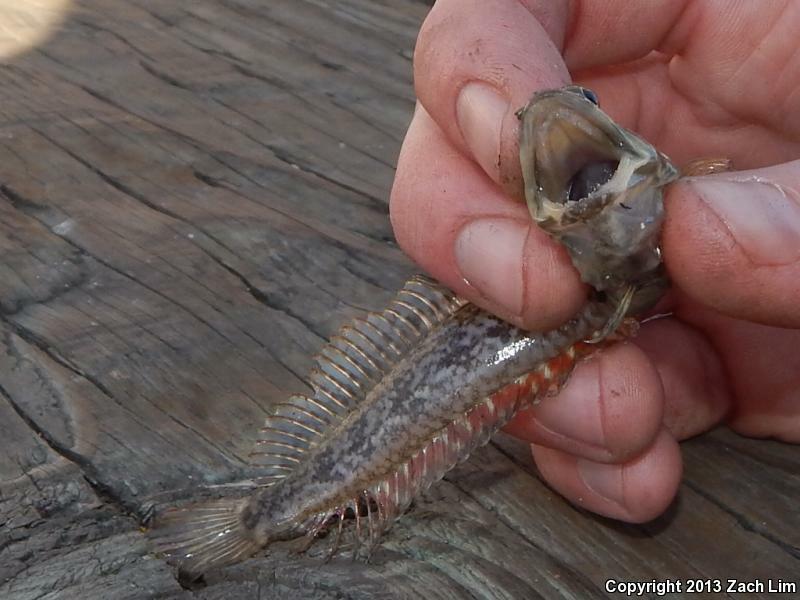 That first fish, One-spot Fringehead, is so cool and is like a characature in a cartoon strip. I would very much like to go fishing and beer drinking with you all! sarcastics are really neat fish in the aquaria for sure. They actually do ok together-provided they have plenty of retreats to choose from. 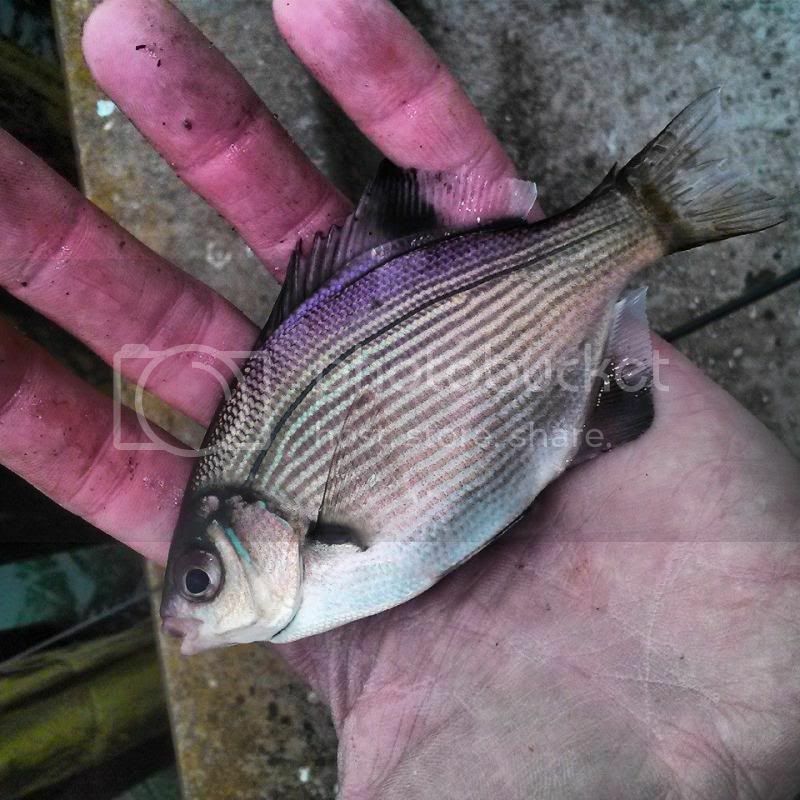 We get them at work sometimes and have sent them to various public aquaria. 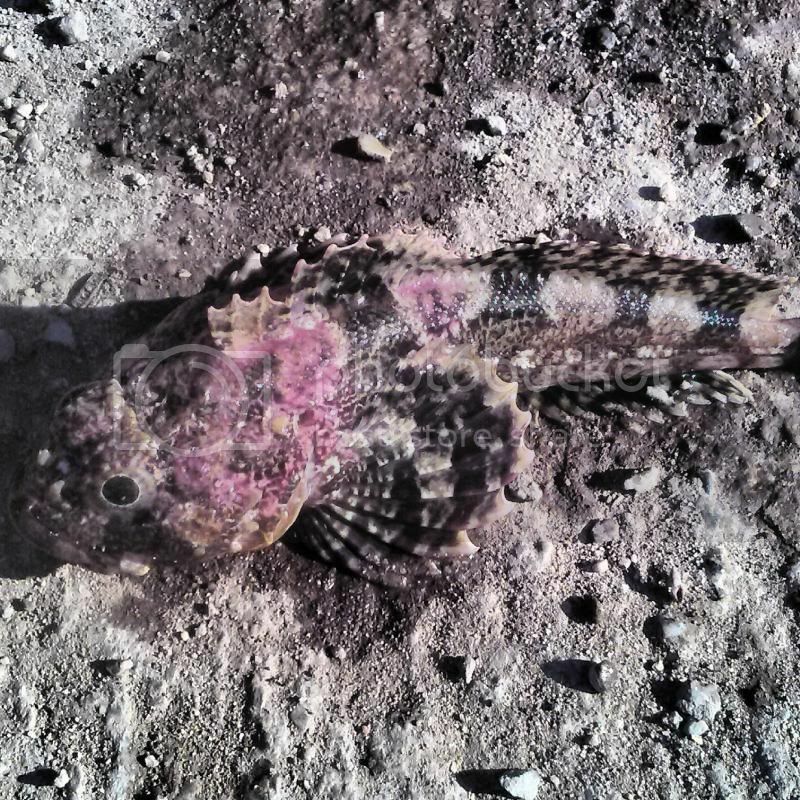 Here in Socal they prefer sand/mud bottoms at depth-on sand barrens every wavytop turban shell has either a fringehead or an octopus in it. You'd need to get the water down cold we run our system at 58 degrees F. A 20 gallon long would be great to start with depending on the size of the fish. As you can guess they are rather sedentary. 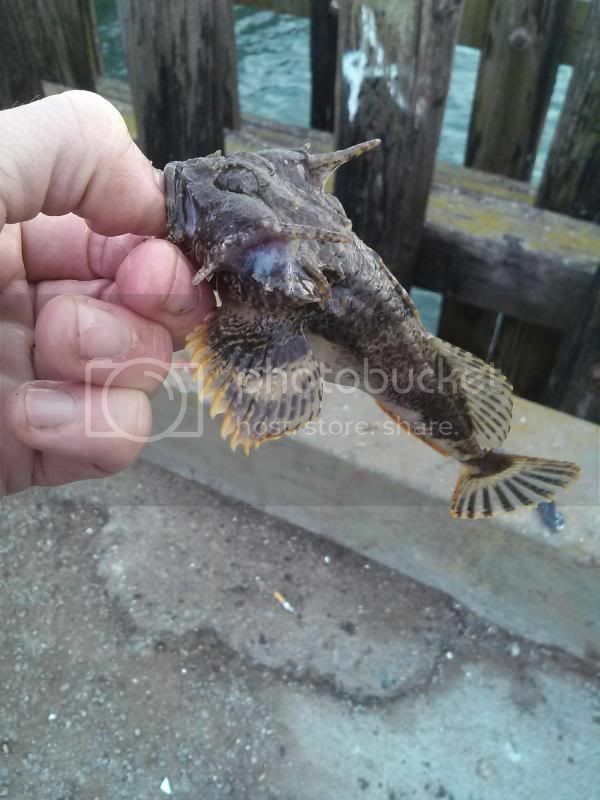 Favorite fish of recent outings have to be these One Spot Fringeheads. 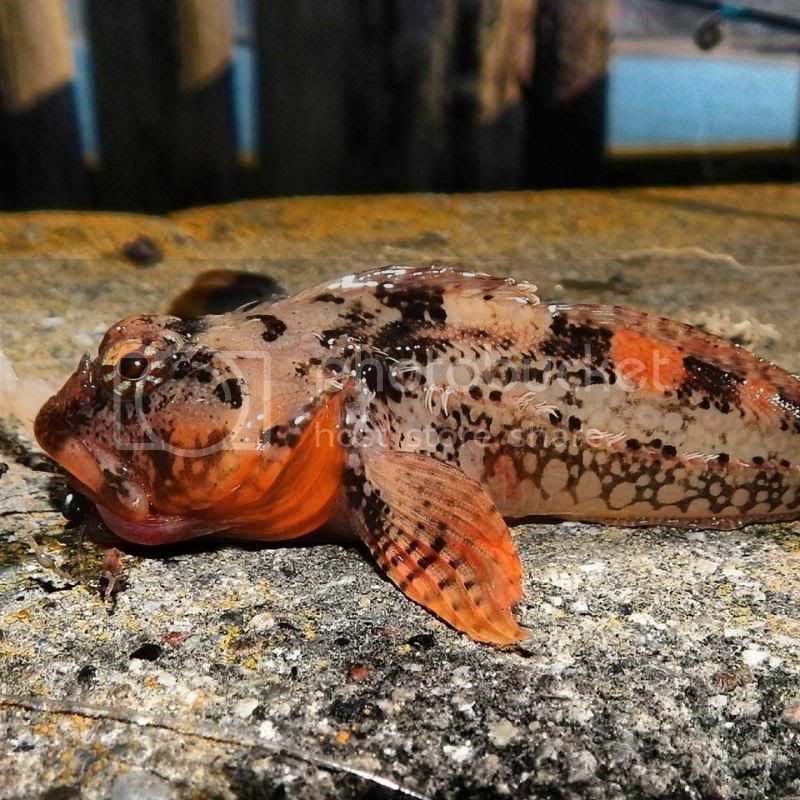 Super feisty fish that actually watch your actions and will try and succeed in biting you, so rad. Good times with tight lines, nice weather, a few frosty beverages and a great variety of fish to be found in an urban area. 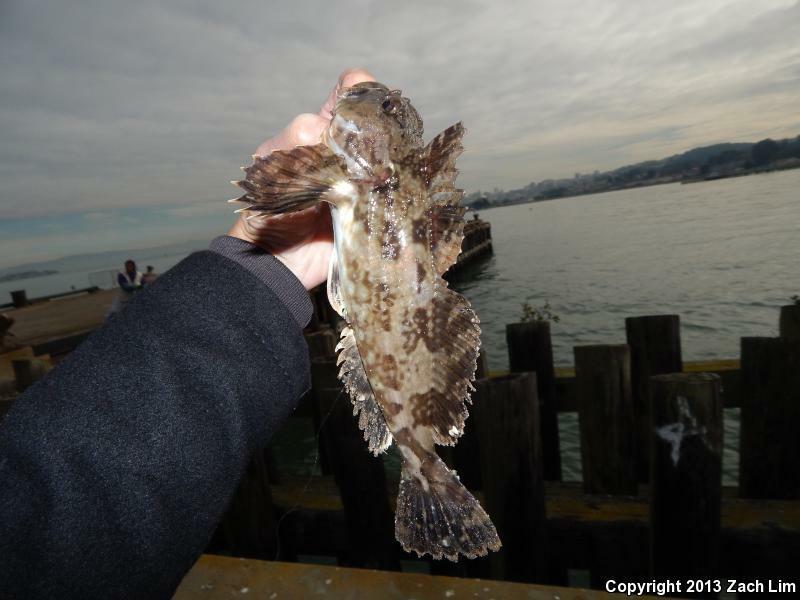 Zach even managed a shaker Lingcod caught on a live Smelt I managed to tail hook. I love the piers in winter. I'd like to see what you catch if you use some of those small fish as bait. I bet the perch would attract something big and mean. 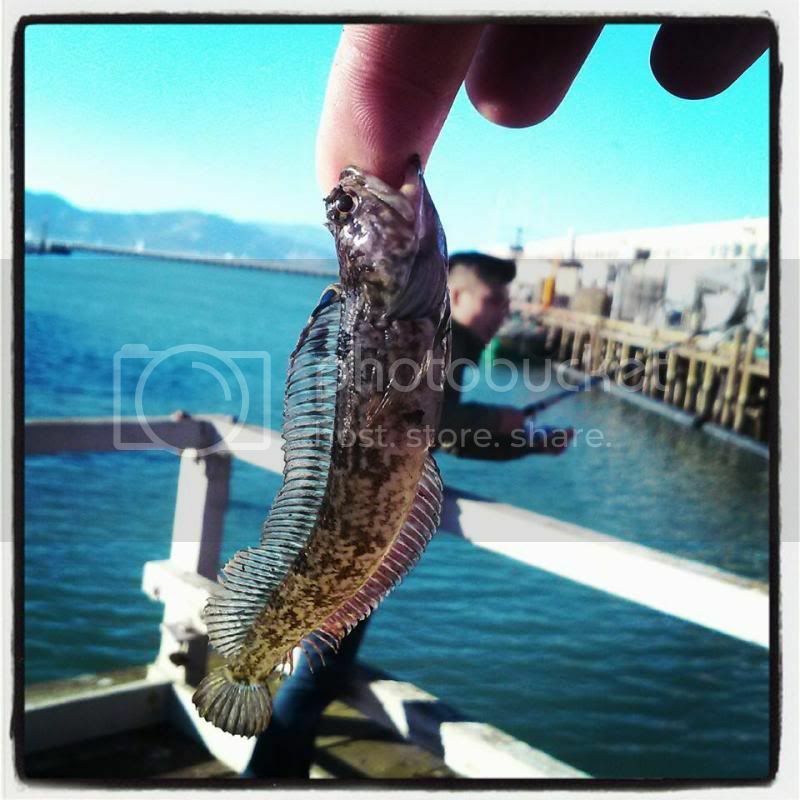 Do you think it's possible to hook into a salmon from a pier in SF? 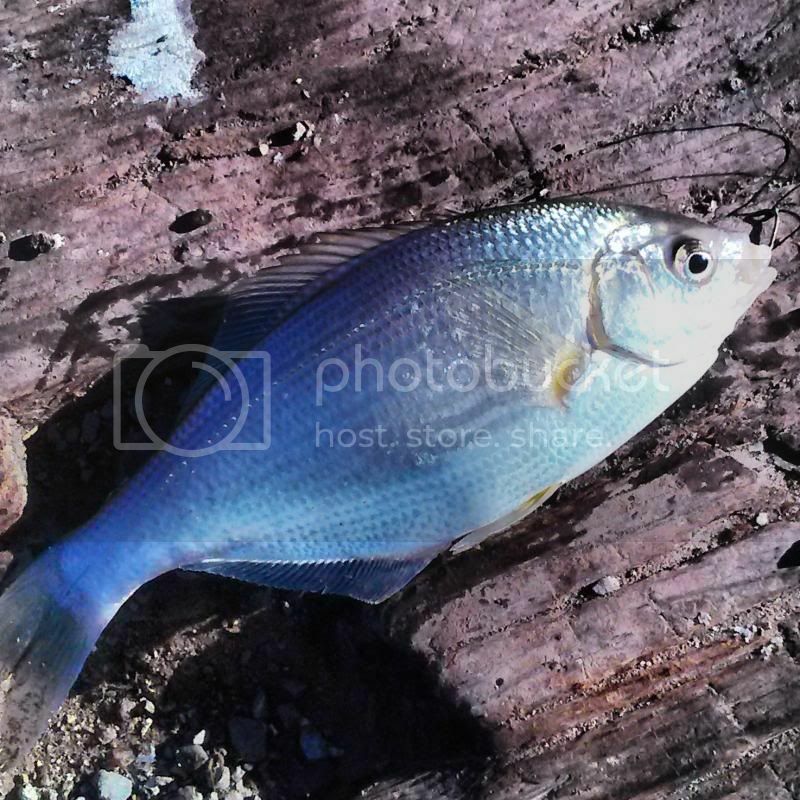 Jared and pier anglers, your "record shiner" perch is quite likely a white surf perch (Phanerodon furcatus), was it over 7" L? 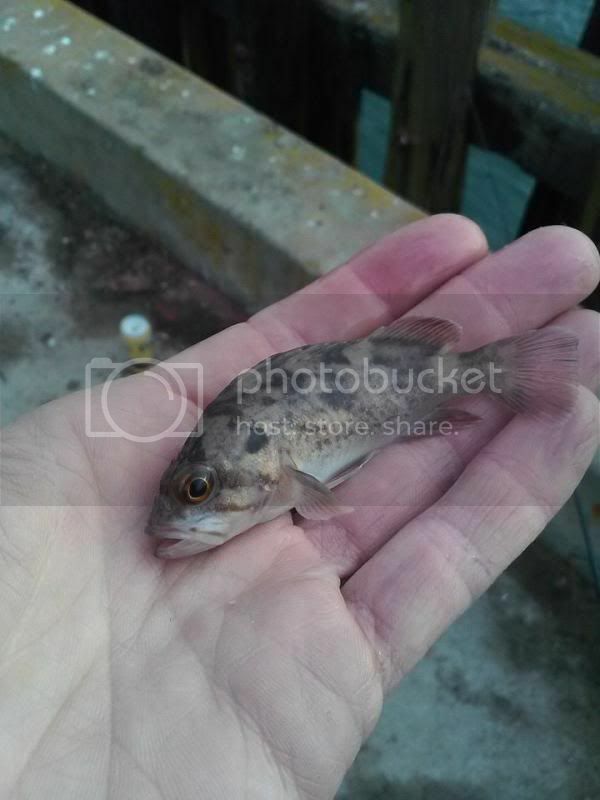 The more common shiner perch (C. aggregate) make excellent live baits for the bays predatory denizens, such as ling cod, striped bass, grass rockfish, Ca. 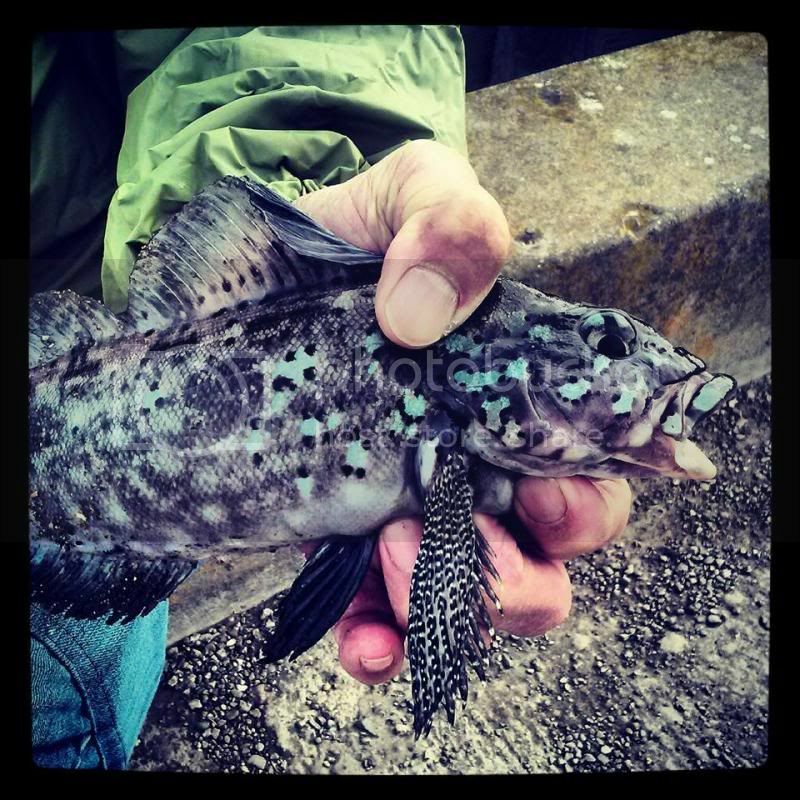 halibut and leopard, smooth hound sharks, etc. 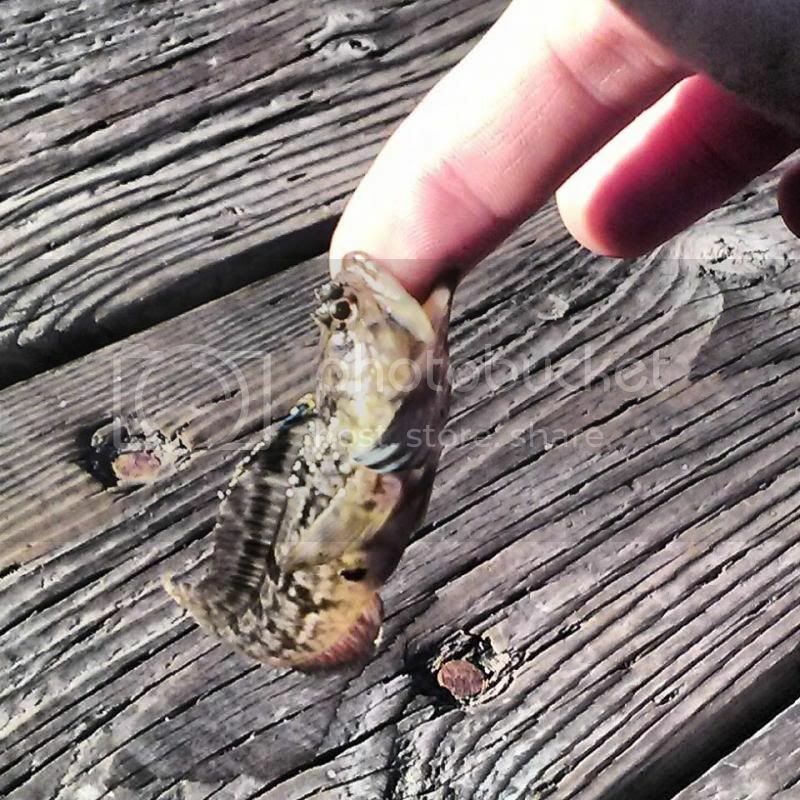 If you want large fish, live bait or large baits will select for them. 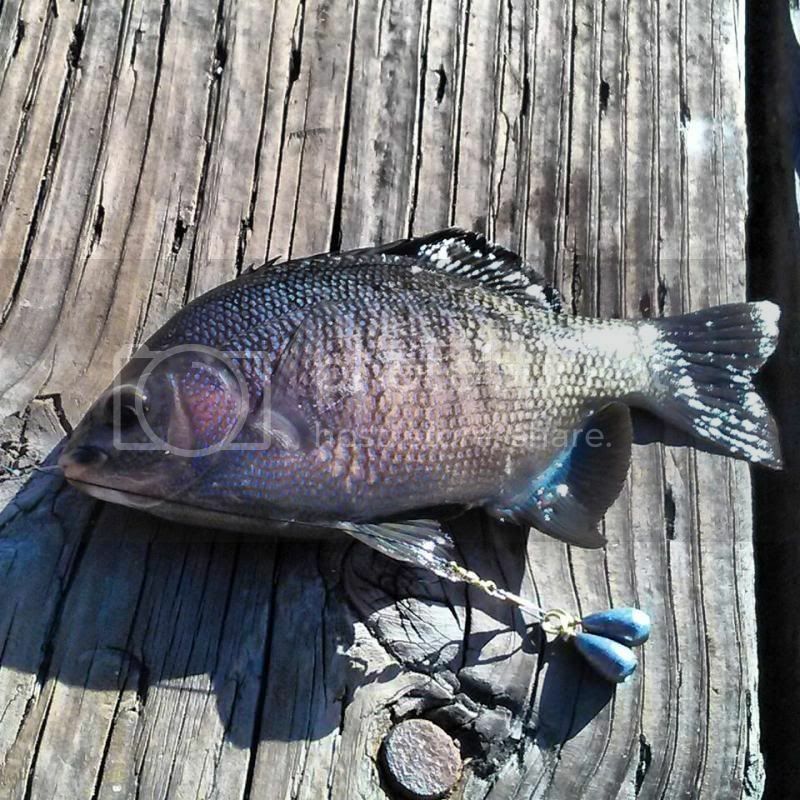 The catch per unit of effort is usually low, and it is a real challenge to land a large fish from a high up pier... You can catch shiners near pilings using sabiki rig or tiny baited hooks. 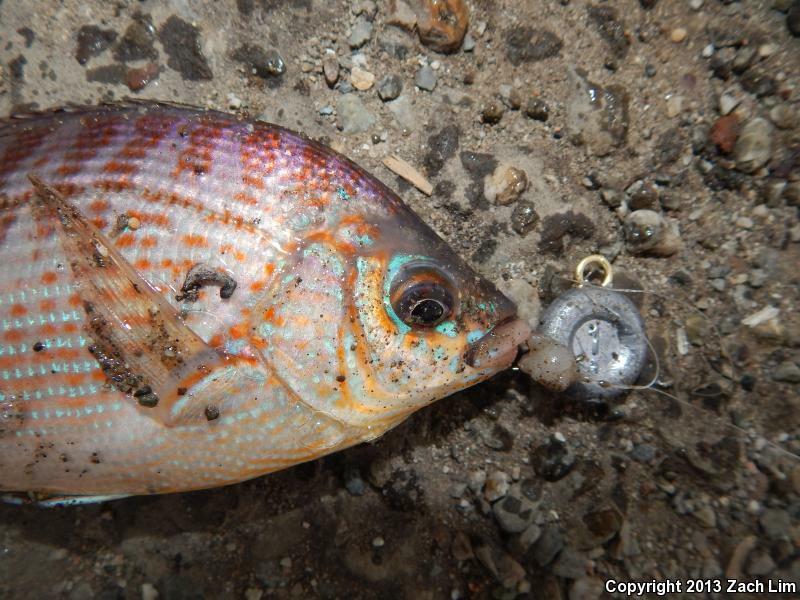 It sounds like you are keeping busy, hooking up and landing a wide variety of small species doing as you are, having fun. 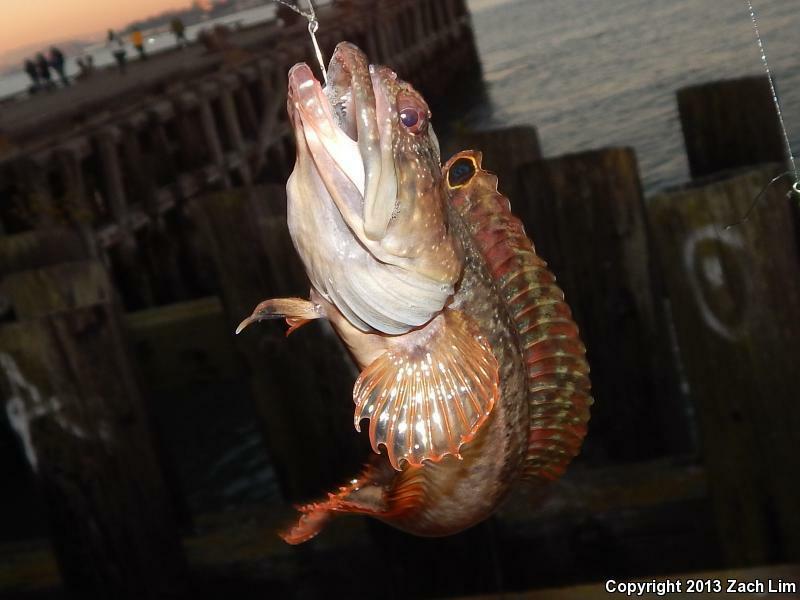 As Jeff questioned, you can catch a few large game fish in the bay, including stripers, salmon and White Sea bass, but it involves luck where you are. 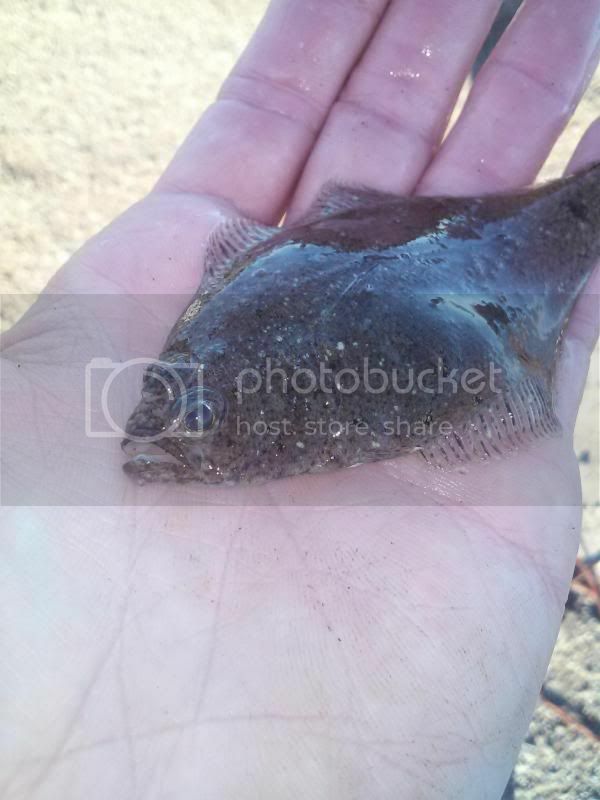 Sometime try baiting a whole squid or even better, abalone guts, cast into sandy area and you may get bat rays which are a scream to catch . Good luck, we are enjoying seeing/hearing your adventures.